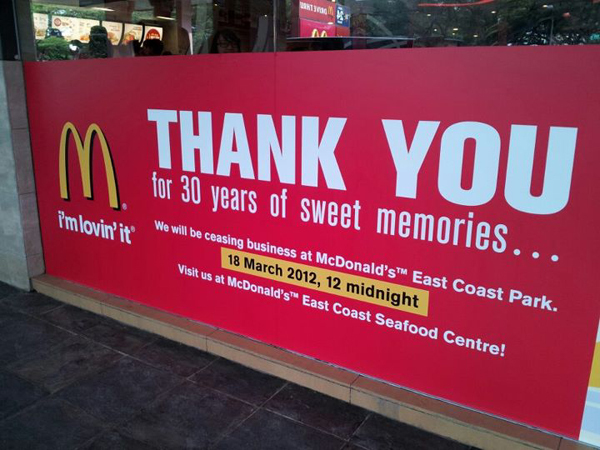 After 30 years, the McDonalds side of East Cost Park will be closing. 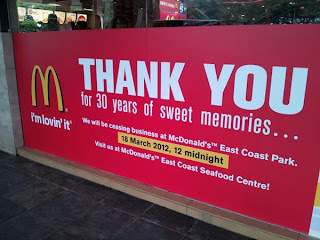 Sad to hear that an iconic landmark will close on 18 March 2012. Word on the street, it’s to make way for new development and buildings at East Coast Park. The current park is so serene and peaceful, compared to the hustle and bustle of the rest of Singapore. It is a real shame. Hoping that whatever plans they have for the new development, they will preserve as much of the park as possible.